So you’re planning your next road trip and are thinking about what to take with you (we’re jealous!). Welcome to our list of road trip essential gear to take with you in the car or van on your next long-distance adventure. We have been REI members since moving to the USA, and love that REI is a co-op and invests in causes that we care about. If you’re not familiar with REI, signing up for membership (only $20 for a lifetime) provides you with a member dividend of 10% back on what you spend, in spring each year, as well as access to exclusive member-only events and sales. 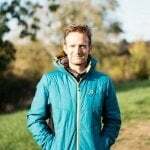 To learn more about REI’s values, what they do and what makes them different, click HERE. Also, if you’re planning an adventure or want to learn a new outdoor skill, local REI stores host a diverse range of training events, local and international trips, which is an awesome way to meet like-minded people in your area and skill-up for future adventures! The Rumpl Puffy Blanket packs down, which makes it great for camping too. It’s also made with synthetic down which makes us happy. There are so many fun designs to choose from so make sure you check out the complete RUMPL range at REI, but our favorite design is the Bermuda pattern. The Maui Jim Baby Beach Polarized Sunglasses are really cute polarized sunnies designed for women. Driving with polarized sunglasses is a must! They’ll cut out any sharp glares and allow you to see clearly out of the windscreen without seeing any distracting internal reflections on the glass. A cheaper alternative for sunglasses is a brand called Sunski, we use these all the time while trail running because if we accidentally drop them, and they break, they are easily replaced. I reviewed 3 difference Sunski Sunglasses HERE, if you’d like to learn more about them. You never know when you’re going to find that hidden lake, or end up by the ocean, so make sure you pack a swimsuit! REI has a huge range of fashionable swimwear for adventurous men and women. Sun Bum SPF 30 Original Lotion Sunscreen – 3 fl. oz. 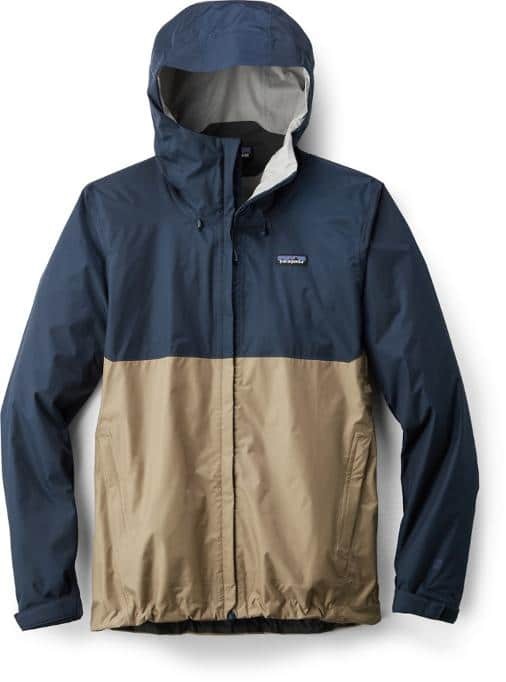 We love the Patagonia Torrentshell Jacket, a classic waterproof. Check out the Women’s version too, the fit is very flattering, and there are loads of color options to choose from. 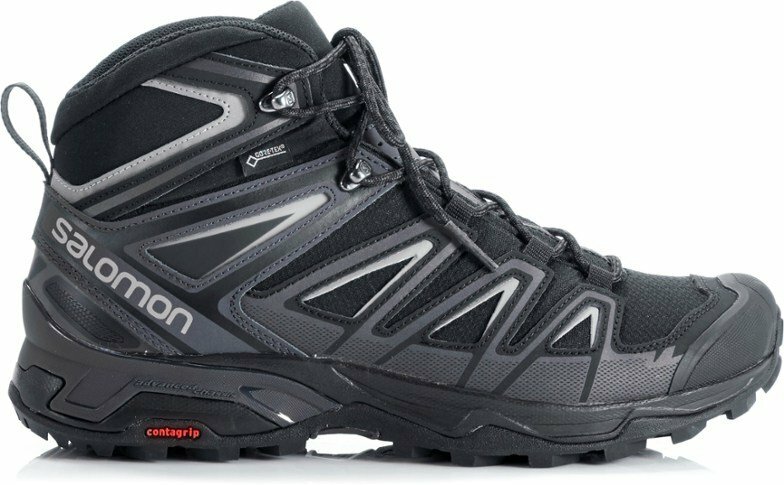 The Salomon X Ultra 3 Mid GTX is a waterproof hiking boot will slay any terrain in all weather conditions. It has a high-traction tread, the support of a boot, and the comfort of a trail running shoe. It’s also available in a women’s version. If on the other hand you want a lighter shoe for trail running, or even as an alternative to a hiking boot for hiking, then these are my top choices for you. 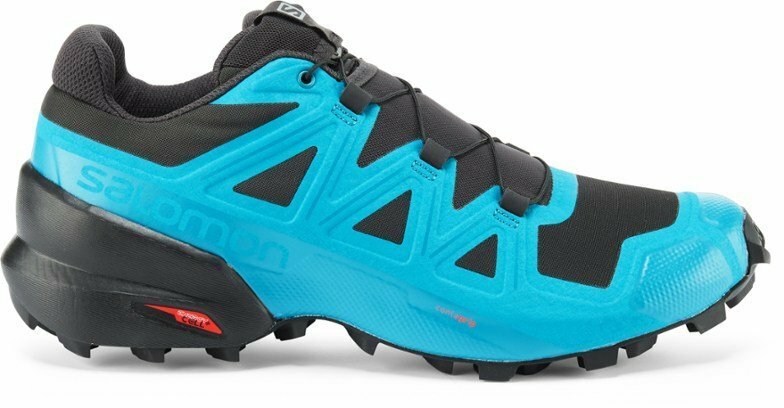 The Salomon Speedcross range has long been a popular shoe amongst runners who love to get dirty on the trails, but also for hikers who don’t want to wear heavy hiking boots. To any hikers looking for a lightweight shoe as an alternative to a boot, I always point them towards the Speedcross. The Speedcross 5 is a new release and it promises all the same features as the beloved Speedcross that came before it, with even more grip, even more stability and even more dynamic uppers. They take rugged off-road performance to another level. 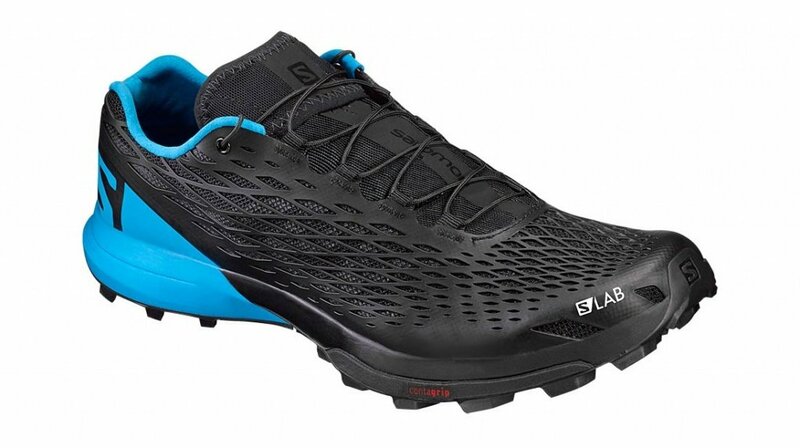 The Salomon S-Lab XA Amphib 2 is one shoe, in and out the water. It’s fast and super efficient both wet and dry which is why it’s the perfect shoe for adventurous runs or hikes through terrain that could have river crossings or very wet segments. They drain so well that your socks and feet will dry very quickly too, should you ever get soaked through. This is a unisex shoe so if you’re looking for the women’s version, it’s on the same link below. Socks can be fun too! Just look at the Stance brand for example. We wear Stance socks for their comfort and fun designs. If you plan on taking your mountain bikes with you, then you’ll want a bike rack that’s sturdy, and easy to load and unload your bikes onto, with the benefit of being able to lock your bikes to the rack and lock the rack to the car. 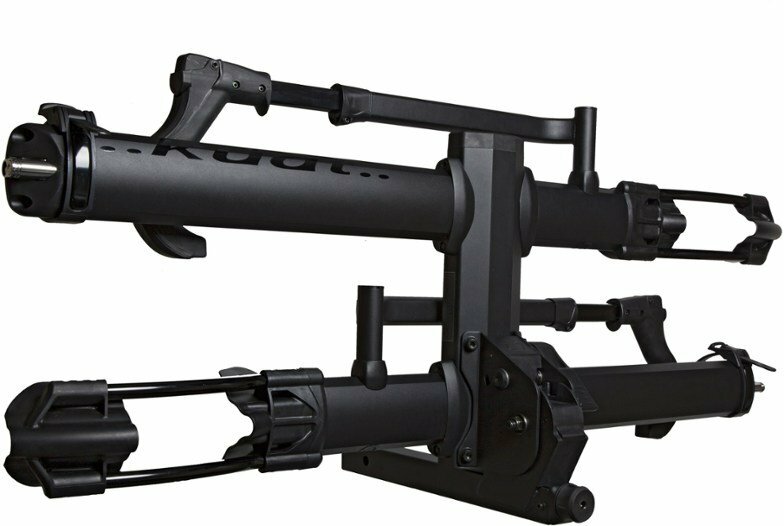 The Kuat NV Base 2.0 2-Bike Hitch Rack does all this extremely well. It’s also a modular rack, so if you decide you would like to be able to add a couple more bikes, then you can! Here’s REI’s full range of bike racks to suit your budget. If you don’t have a bike yet or feel you’d like to upgrade, REI has a huge selection of bikes to choose from, what a great way to use that 20% discount for becoming a member! 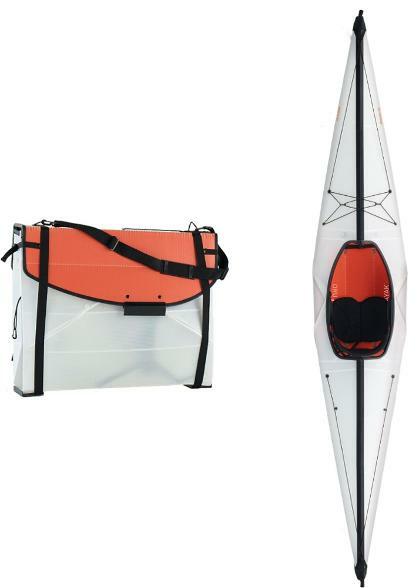 The Oru Kayak Bay ST Folding Kayak is ingenious, lightweight and folding down into a large briefcase size! 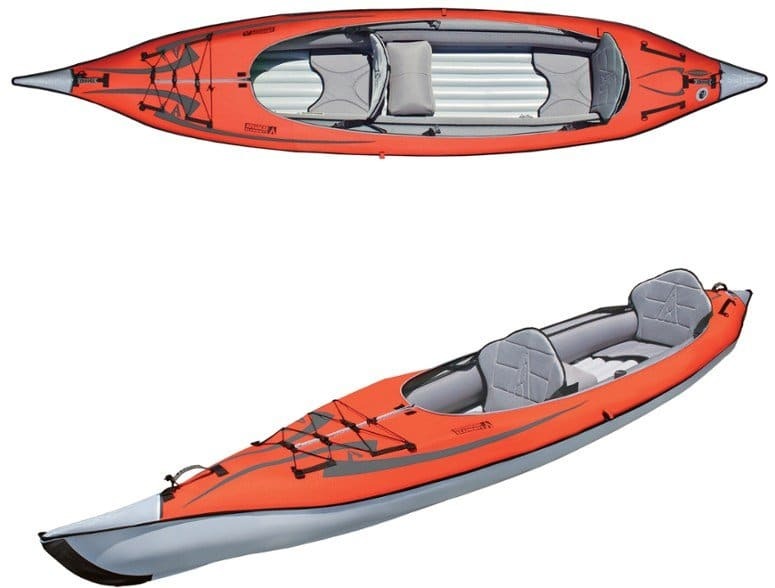 If there’s two of you and you both like to kayak, then this tandem inflatable kayak is a very affordable option. 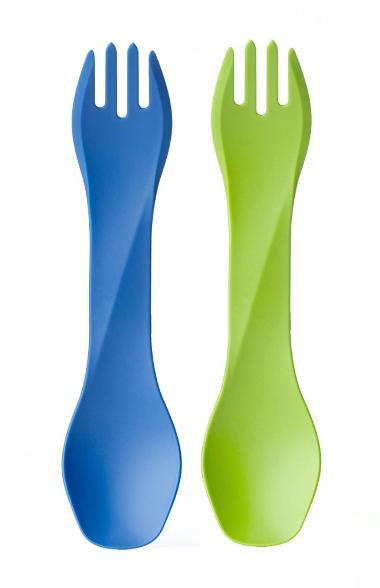 Don’t forget some folding paddles too or you won’t be going anywhere fast! 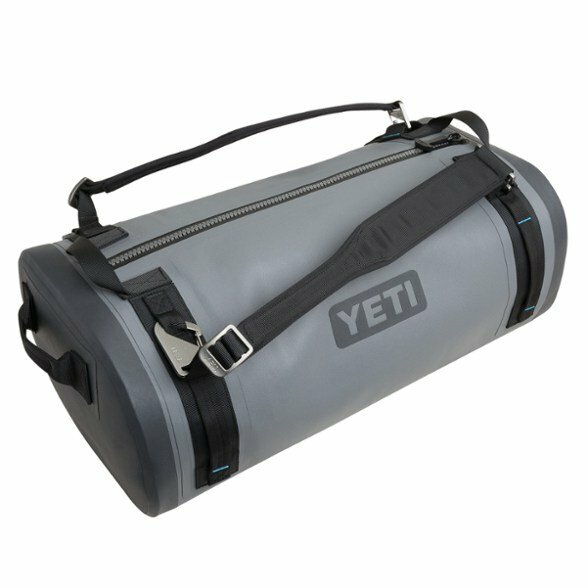 The YETI Panga 50 Dry Duffel is an awesome waterproof adventure-ready pack with versatile carrying options, if you’re planning on going somewhere involving watersports. Hydro Flask Wide-Mouth Vacuum Water Bottle – 32 fl. oz. A large bottle for storing water is a must-have for any trip. It’s important to have water with you for the hours on the open road, including for emergencies. Also, I carry mine everywhere to cut down on my use of disposable plastic bottles when traveling. A method of storing and purifying water, the Grayl Ultralight Water Purifying Bottle is an accessory that’s so handy to have with you and is engineered to stand up to the harsh demands of international travel, outdoor adventure (backpacking, hiking, camping, fishing) and emergency situations. A tip: when you’re low on water and do find a questionable water source to fill up with, make sure you filter the water through this bottle and then fill up your larger storage bottle, like the Hydro Flask mentioned above. Klean Kanteen TKPro Vacuum Bottle – 32 fl. oz. We believe coffee is essential! 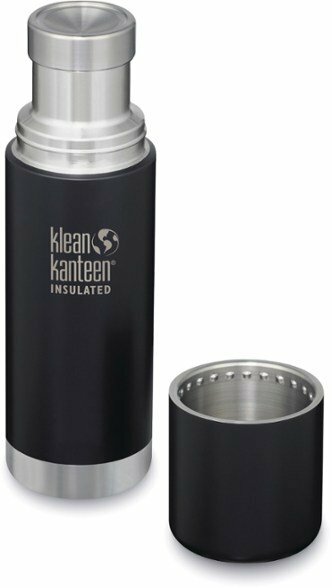 The Klean Kanteen TKPro Vacuum Bottle has an accurate pour and cup system for pouring coffee while on the move. As accurate as the pour system is, please make sure you’re the passenger when serving up the coffee, and be careful not to spill the hot stuff. 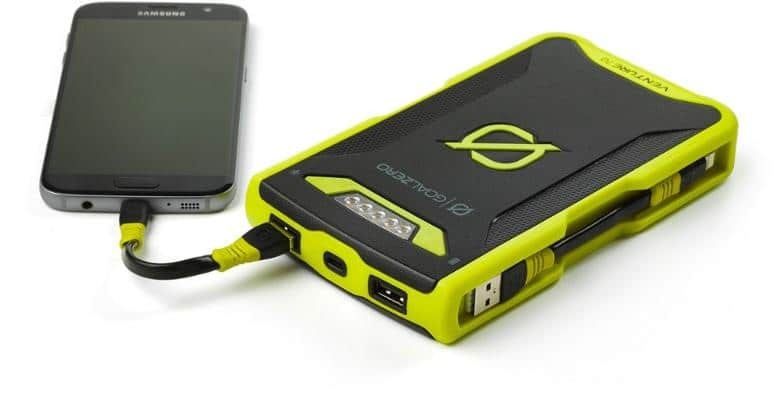 The Goal Zero Venture 70 weatherproof portable power bank can charge your smartphone up to 6 times on one charge. It has two USB ports too so your friend or partner can charge theirs at the same time. It can even charge small cameras (like a GoPro Action Camera) and tablets. It weighs in at 1lb which is very light for a device like this! Make sure you have some multi-use sporks in the vehicle so you don’t have to resort to single use plastic at food places en route. A classic top-quality cooler – great for road trips where you’re planning to take a lot of your own food and/or drink. 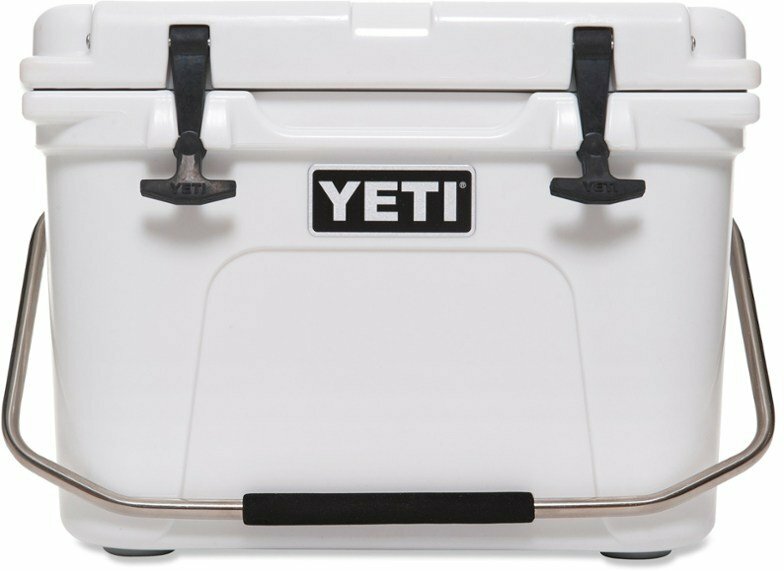 The Yeti Cooler is built from the same construction as whitewater kayaks and is designed to live a tough and adventurous outdoor life. If you’re planning to take your cooler off on a hike, away from your car, then you’ll want something a bit smaller/lighter. 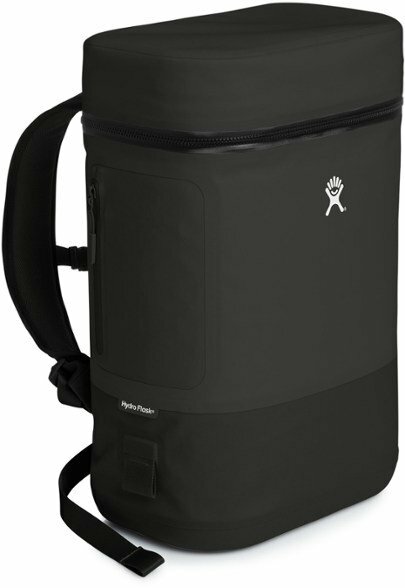 The Hydro Flask Unbound Series, is a Soft Cooler that can be worn as a backpack and will keep your things cold for 48 hours. 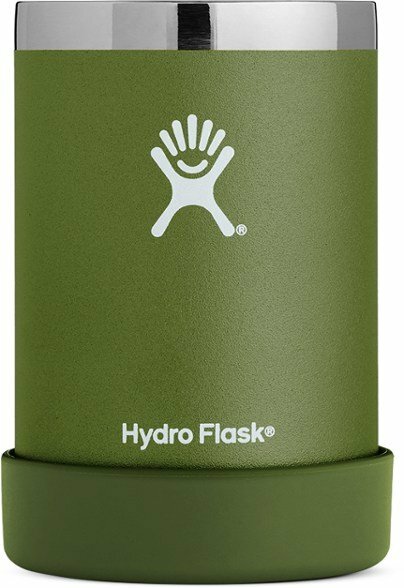 Hydro Flask Cooler Cup – 12 fl. oz. We love using these clever little cooler cups. Not only will they keep your canned drink cold (a metal koosie! ), but they also double up as a dedicated insulated cup for coffee or cold drinks. Road tripper pro tip: take it to a coffee place en-route and have them put your coffee in here rather than a takeaway cup. A medical kit like the Adventure Medical Kits Mountain Series Day Tripper Lite is always good to keep in the car anyway. Like this Benchmark Maps California road and recreation atlas – See the full Benchmark Maps collection HERE. A reliable and high powered headlamp is so important if you plan on exploring into the night. The Petzl Reactik + headlamp is the one we recommend to everyone who needs one. 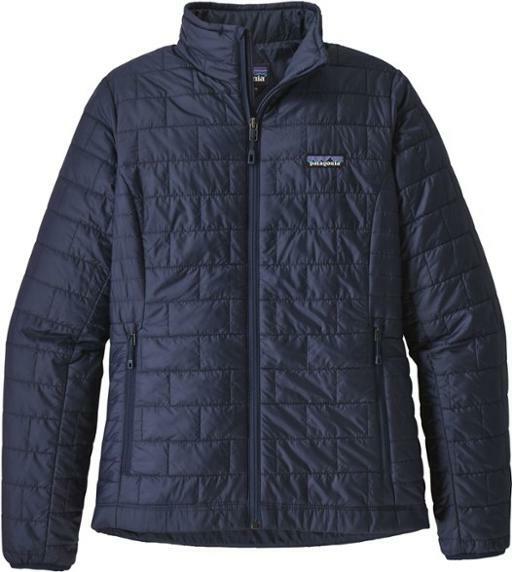 It’s also excellent for trail running and may be handy if you’re unlucky and break down. Having a storage bag to easily haul in and out of the car will is going to make your life so much easier. 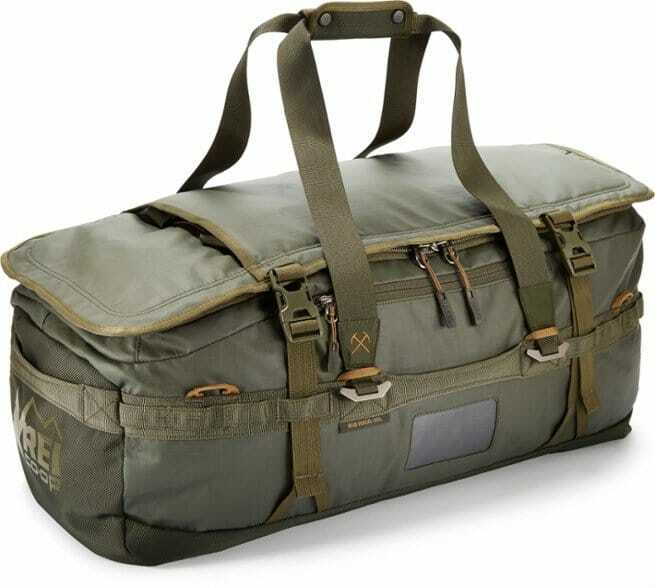 The REI Co-op Big Haul 60 Duffel is perfect for this purpose and we like that it packs down small when not in use.